As a business owner you know that positive cash flow is the foundation of your ability to grow your business and shape its future. 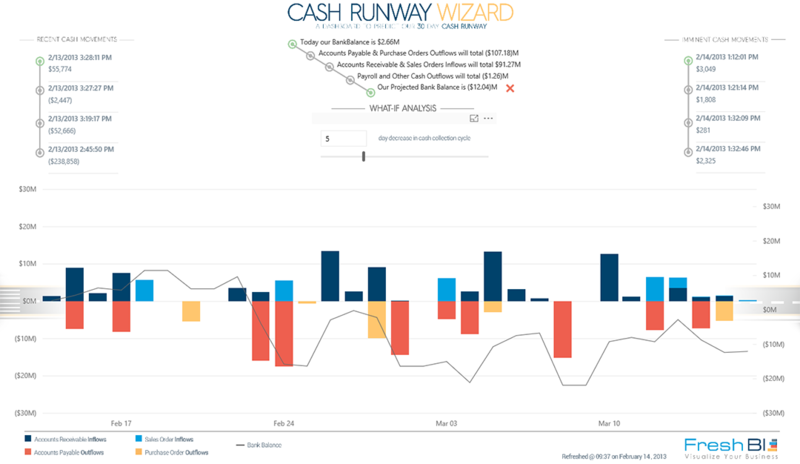 This FreshBI Cash Runway Wizard is ready to predict your working capital cash runway through the intelligent interpretation of your data to predict daily cash flows and your changing bank balance. As a business owner you know that positive cash flow is the foundation of your ability to grow your business and shape its future. 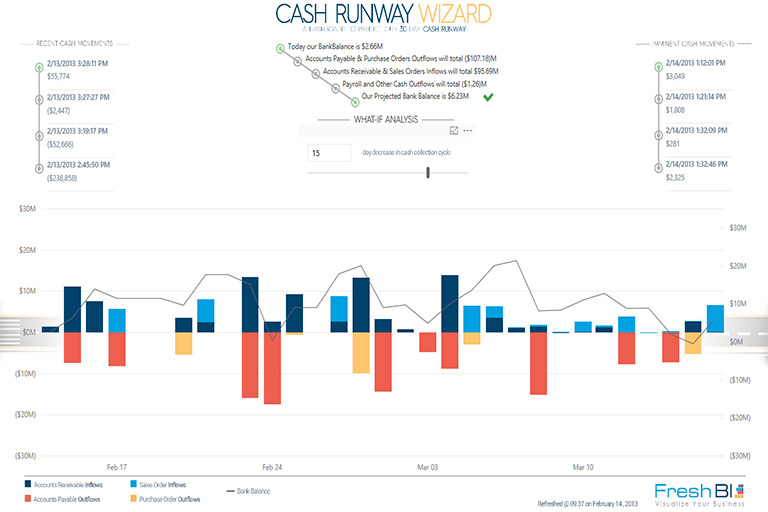 This FreshBI Cash Runway Wizard is ready to predict your working capital cash runway. 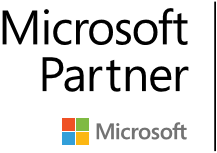 Power BI’s What-If Analysis reveals what impact your management ideas can have on your bank balance at the end of the 30-day projection. The Dashboard reveals recent cash movements and imminent cash movements to provide detail about cash activity surrounding the reporting date. The Cash Runway Wizard collects Accounts Payable and Receivable info and projects the inflow and outflow of cash expected for the next 30 days. It then accounts for Purchase Orders and Sales Orders which will transform into invoices and consequently impact cash flow. Then it accounts for Payroll and other recurring Cash expenses and what you have is a view of your predicted working capital cash flows. Your sales and fulfillment activities result in invoices and cash inflows, while your purchases result in invoices and cash outflows, both on specific, predictable dates if terms are honored. Your Sales and Purchase Order processes also produce valuable predictive analytics about future fulfillments and cash flows. Analytics about your recurring cash flows are then included to complete the story about your working capital movements.